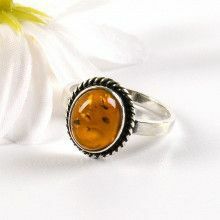 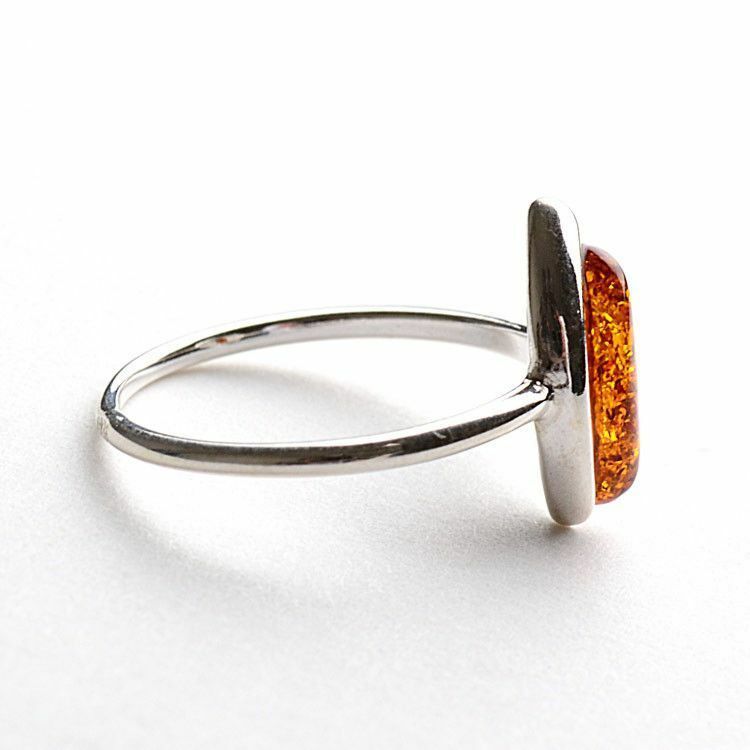 This simple yet stunning honey amber ring features a stone which measures about 1/2" long. 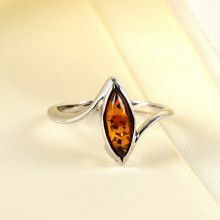 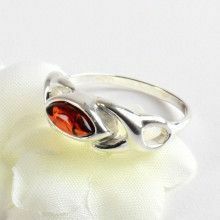 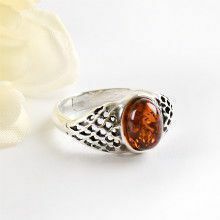 The natural beauty of the stone is complimented by the classic appeal of .925 sterling silver. 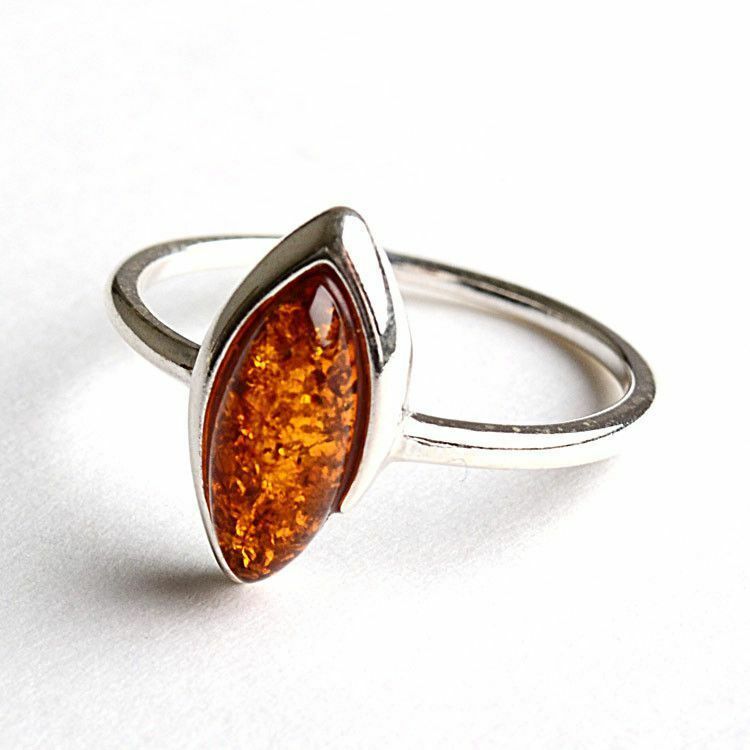 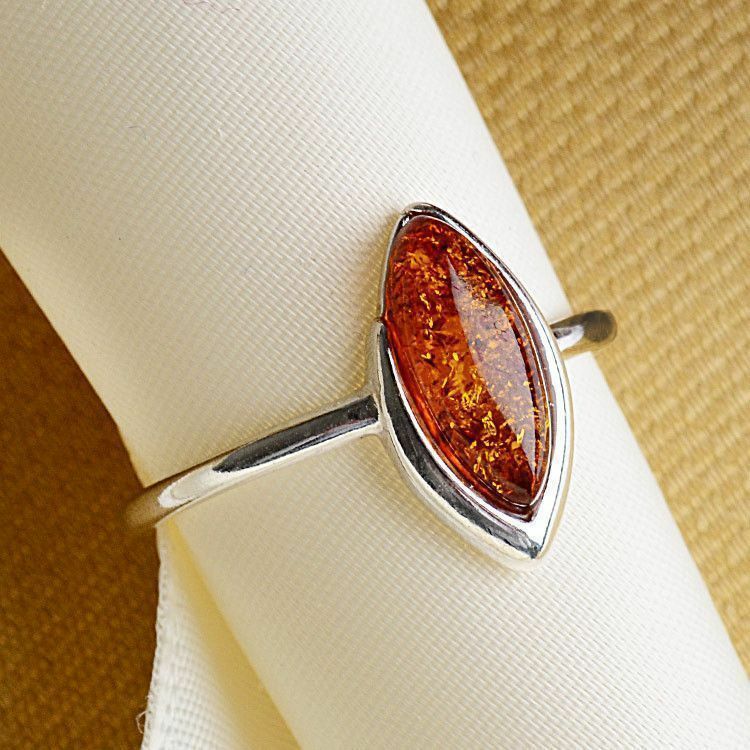 The amber stone features some intricate inclusions that make the stone sparkle in the light.